Tears of joy, laughter and a feel-good factor second to none. Those are the emotions you have when you leave shows at Brick Lane Music Hall in Silvertown. But there’s another very important reason this place is a gift from heaven – and it’s not just because it is housed in the former St Mark’s Church. This jewel in the crown of Newham gives back to the community in which it is located in a very special way, writes Colin Grainger. 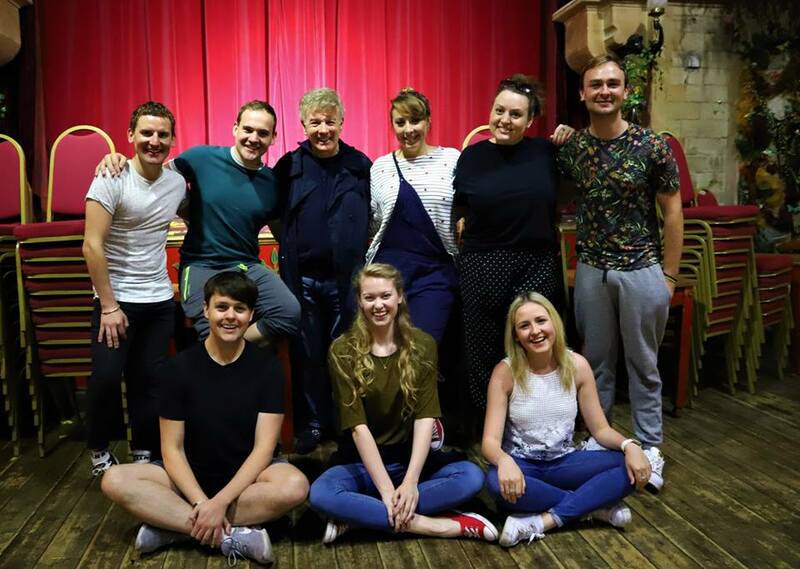 In a few months time the music hall’s founder director Vincent Hayes and his team will give up one of their evenings to stage the fourth annual benefit night for Canning Town charity Ambition, Aspire, Achieve (AAA). AAA provides activities and experiences for young people in the Newham and East London area that builds confidence and expands minds. Their activities include seaside trips, activity-based camping experiences, sailing and community heritage exploration. These experiences provide a tremendous opportunity for children to explore possibilities they might not ordinarily have. Through them, they gain confidence and build self-esteem, giving them a firm foundation to bridge the gap between youth and adulthood. The close work with some of the most disabled and disadvantaged young people is bearing fruit and simply – is changing lives. Fifteen years on from signing a lease with Newham Council to take over the derelict St Mark’s Church in Silvertown, Vincent is also changing lives. 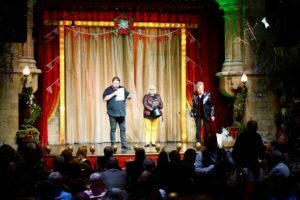 He has not only created a fantastic entertainment venue for Newham, winning awards and pleasing thousands who visit, but partnerships like the one with AAA prove how much a role the music hall plays in the community. 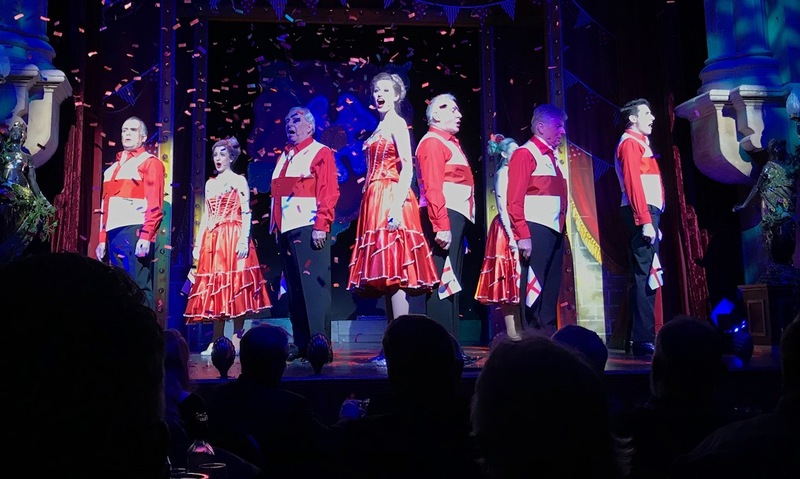 The music hall shines a light on Newham, not just because of the venue itself and its shows but also because of the outreach work of Vincent and his team. Vincent, was recognised in 2013 with the award of an MBE for his services to British Music Hall, as well as for the theatre’s contribution to the community and the work of the Brick Lane Music Hall Charity which takes Outreach Music Hall shows to care homes, schools, hospices and others. Since taking over the Silvertown site, Vincent has also been able to work with the local British Legion to stage Remembrance Day Parades and Services at the former church. These grow more popular by the year. Vincent has been there, done that and got the tee-shirt, but the music hall drives him on. “I’ll keep doing what I doing as long as I can put one front of the other Colin!” he said as he prepared for another show from the quiet of the dressing room. 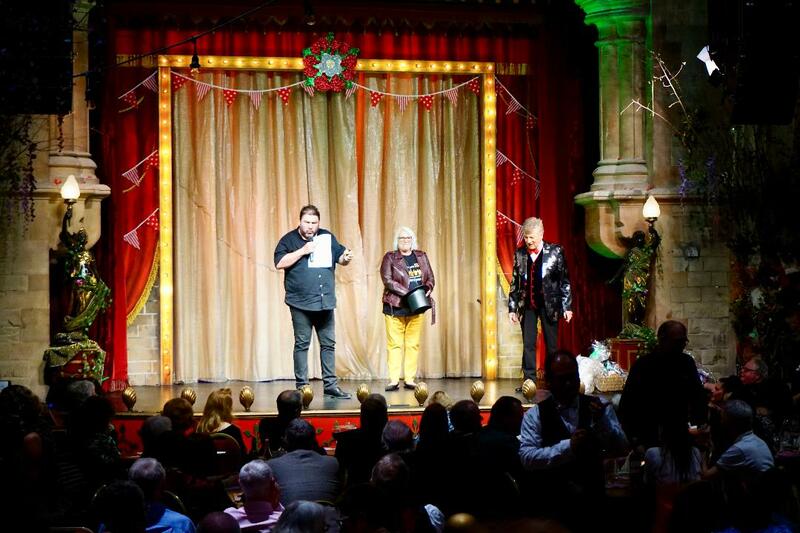 The Music Hall entered the Trip Advisor Hall of Fame, last year after winning excellence awards five years in a row. “It’s just brilliant and everyone here deserves the honour,” he said. Vincent also boosts the Newham economy by employing local people – giving many of them their first start on the jobs market. There are also new acting graduates at the theatre in North Woolwich Road, giving them the opportunity to develop and build their portfolios. Vincent also just launched the Class of 2018 for this year’s schools programme. The team will be working with Year Six pupils in eight Newham schools towards end of term productions of Annie. Soon after, it had outgrown its existing venue, with its capacity of 150, and needed bigger premises, so he found a disused factory a mile away in Shoreditch, and relocated the music hall there. The conversion took five months and cost him £80,000. But after five years he said “the landlords were only interested in the money I was making.” So he went back on the road. Unexpectedly, Vincent received a phone call from Newham Council saying they would love him to relocate Brick Lane Music Hall to their borough, provided they could find him suitable premises. St Mark’s Church in Silvertown, derelict for 30 years, was the choice. All the food is freshly prepared on the premises and is brought to your table by a team of smartly dressed waiters. The maitre d’ ensures that everyone is served and has what they need. No small detail is missed. The outside of the former church looks pristine. Vincent hires a cherry picker every year to clean out the gutters and keep it looking exceptional. 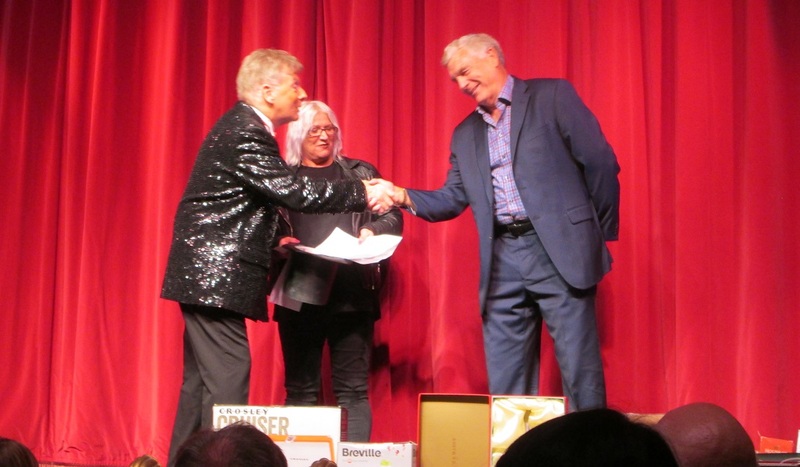 Comedian Ricky Grover, a patron of AAA, and Sir Trevor Brooking at charity nights with AAA’s Paula Blake and Vincent Hayes. Kevin Jenkins, founder of AAA says the incredible support of Vincent and Brick Lane Music Hall has been vital in the charity’s early years. 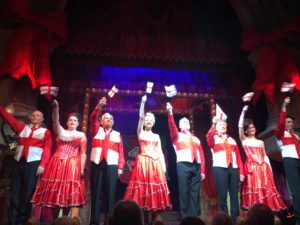 Three annual benefit nights have helped AAA raise £40,000. “It has helped us launch a series of vital projects to support and care for young people who need it the most and has helped us grow and enabled us to support more young people,” said Kevin. Vincent’s passion for spreading the gospel of fun and laughter is helping to AAA to make a difference and change the lives of young people. Tickets for the fourth Annual Benefit Evening for charity Ambition, Aspire, Achieve go on sale from today. The event will be staged by those wonderful people at Brick Lane, Silvertown on May 4. 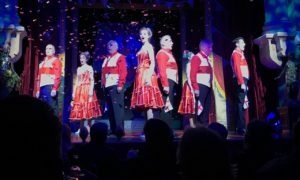 Doors open at 6.30pm, dinner 7.30pm, show 9pm, carriages midnight. 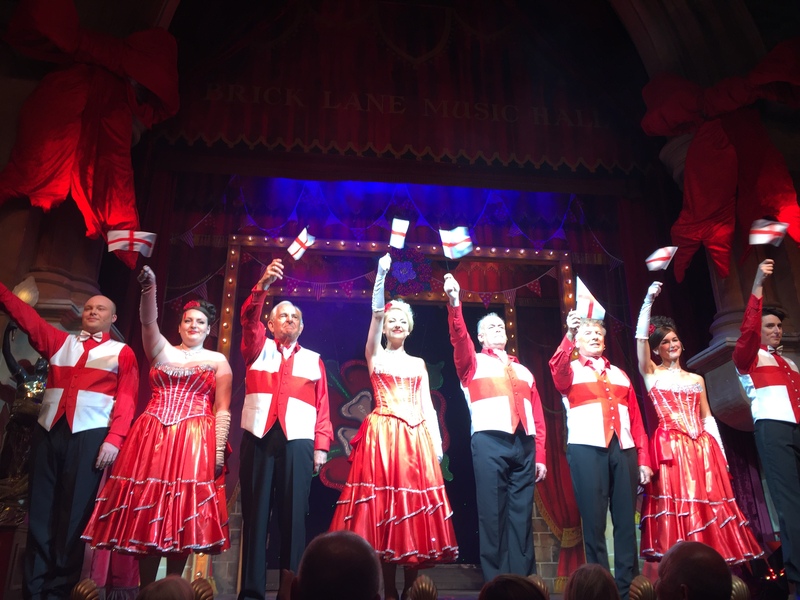 The music hall show at the award-winning Brick Lane includes a three course meal, raffle and auction. Tickets £49.50 per person – the entire cost of the ticket is donated to AAA by Brick Lane. Email kevin@theaaazone.com for details and booking info or call Kevin Jenkins on 07860 487727 for details and to buy your tickets please. Memories of the Co-op, East Ham – the East End Hamley’s!